Adv. Levy is the co-founder of Goldfarb Seligman & Co., one of Israel’s largest law firms. Adv. 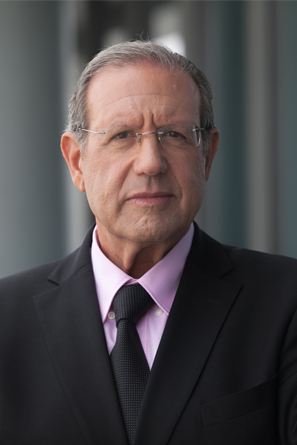 Levy has been serving as the Managing Partner for over 20 years and is the Chairman of the Firm’s Executive Committee. Adv. Levy is highly involved in Israel’s business community and is repeatedly called upon to advise boards of directors regarding crisis management. Alongside his legal and professional activities, Adv. Levy also serves as Vice Chairman of the Board of Directors of El Al Israel Airlines Ltd. (traded on the TASE); Member of the Boards of Directors of Knafaim Holdings Ltd. (TASE), Global Knafaim Leasing Ltd., Maman Cargo Terminals Ltd. (TASE) and Dori Media Group Ltd.; Member of the Executive Committee of Shalem Academic Center Ltd. and Member of the Board of Trustees of the Shalem Foundation. Mr. Levy holds an LL.B. degree from the Hebrew University in Jerusalem and is a member of the New York Bar and the Israeli Bar.